BARCELONA MADE BRAZILIAN international midfielder Paulinho their first signing since banking a world record fee for Neymar on Monday after agreeing a €40 million fee with Chinese club Guangzhou Evergrande. “Barcelona and Guangzhou Evergrande have reached an agreement for the transfer of the player Paulinho Bezerra for 40 million euros,” Barca said in a statement. The 29-year-old has signed a four-year deal with a 120 million euro buyout clause and will be formally presented on Thursday. The announcement of Barca’s third signing of the summer transfer window after Gerard Deulofeu and Nelson Semedo came just hours after the Catalans suffered a 3-1 home defeat to Real Madrid in the Spanish Super Cup first leg on Sunday. After the game, midfielder Sergio Busquets put pressure on the Barca board by claiming Barca had to strengthen their squad before the transfer window closes on August 31. 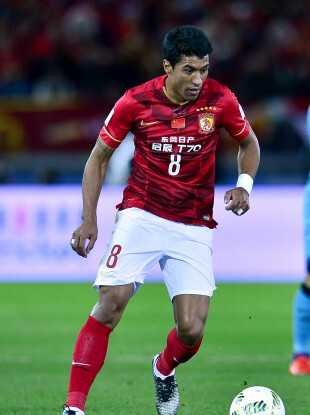 Paulinho failed to shine in his most recent spell in Europe during two years at Tottenham Hotspur before moving to Guangzhou in 2015. However, he has established himself as a regular in a rejuvenated Brazil side since the appointment of Tite as coach a year ago, most notably scoring a hat-trick in a 4-1 win away to Uruguay in World Cup qualifying back in March. Email “Barcelona spend €40 million on ex-Tottenham midfielder”. Feedback on “Barcelona spend €40 million on ex-Tottenham midfielder”.